The market for urban art is continuing to expand and integrate into the mainstream. Works by urban artists are now beginning to be included in the collections of the most respected museums and public galleries worldwide, including MOCA (LA) who plan to put on the first major survey of street art to be shown in the US later this year. The exhibition Banksy | War Boutique presents an exciting opportunity for collectors to acquire original works by two mavericks of urban art - one just emerging onto the international stage, choosing to put on his first commercial exhibition at Andipa, and one already recognised as amongst the biggest names in contemporary art today. 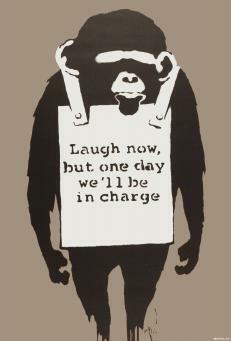 Banksy's continuing high profile has brought with it an explosion in international demand for his work. 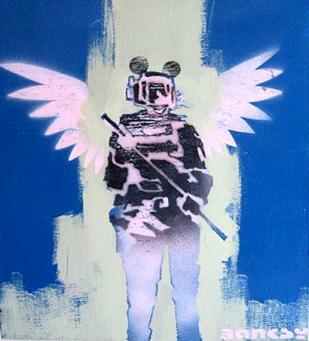 In response Andipa Gallery is pleased to announce Banksy | War Boutique, an exhibition showcasing an un-paralleled collection of iconic and sought after original works by Banksy, from the collection of Andipa Gallery, one of the largest in the UK. 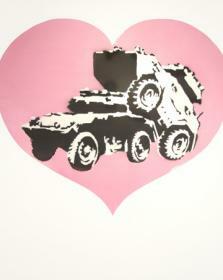 Banksy | War Boutique follows Andipa Gallery's, recent exhibition of original works by Banksy in Gstaad, Switzerland. 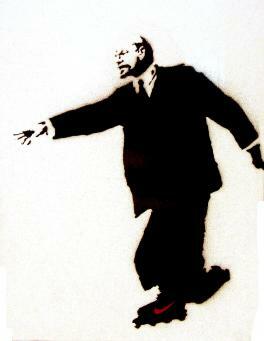 An annual show which attracted the highest number of attendees to date, from Geneva, Zurich and beyond, further illustrating Banksy's internationally acclaimed position. No gallery represents Banksy. The works on show during this exhibition are from the collection of Andipa Gallery. 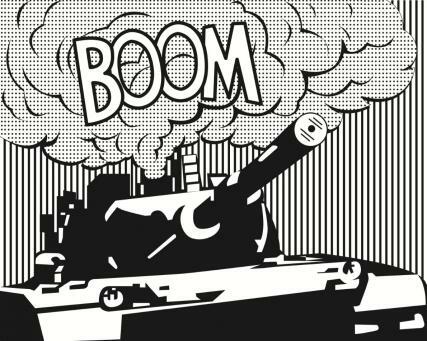 Using textiles, bullet proof ceramics, shells and bomb blankets as the conduit to express his ideas, the artist known as War Boutique "symbolically transforms instruments of war and destruction into constructive items embodying creativity, peace and critical social commentary." Society for Contemporary Craft. War Boutique has provided his wearable art for photo-shoots with the late Alexander McQueen CBE as well as collaborating with the royal and military tailor, Gieves & Hawkes. 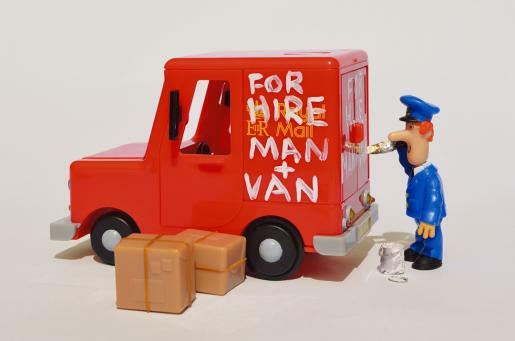 He has also provided artworks for some of the most renowned contemporary artists including Banksy for his controversial Banksy Versus Bristol Museum show and YBA Sarah Lucas. Working for a body armour company on obtaining his degree in Textiles and Fashion Design, he has designed armour and uniforms from fabrics specially formulated for military use for the British, Egyptian, Indian, Pakistani and Algerian armies, as well as the Metropolitan Police, Italian Carabinieri and Mexico City Police. The arresting symbolic potential of these textiles leading him to requisition and recycle uniforms, military and ballistic materials and use them in his art, to alert us to the creeping militarisation of our society, encourage us to work towards peace and remind us of our duty to realise this. His Peace Pods have hung from trees and rafters in Tate Modern, Tate Britain, British Museum and Regent's Park. They are places of respite for people to enter and feel and make peace. Designed so that its essential for the individuals inside to cooperate peacefully to avoid the destabilisation of the pod these works provoke us to question the necessity of war and to explore ways of experiencing peace. For further details please email the gallery here.